Wash, drain and lightly dry blueberries. Sprinkle with 1/4 cup flour to prevent them sticking together. Add brown sugar and softened butter to egg. Sift remaining ground oat flour with baking powder and add alternately with milk to egg mixture until flour is moistened. Drop batter by spoonfuls into paper muffin cups in muffin pans. Add layer of berries and more batter until all are used. Bake 25 minutes in a 375 degree oven. Makes 1 dozen. Serve with butter and honey, optional. Mix all ingredients together. Dip slices of white or wheat bread into batter, coating both sides. Brown in hot oil for 1 to 1-1/2 minutes per side. Serve with warm maple syrup. Twilight Horst • Fruita, Colo.
Heat 1 tablespoon oil in a skillet. Saute one very finely chopped garlic clove. Add cooked rice and fried bacon bits or chopped ham. Stir fry until golden brown. Dump out on a platter and keep warm. Scramble eggs and arrange on top. Make a cheese sauce to drizzle over all. Serve with toast. Whisk together flour, sugar, baking powder and salt. Whisk together buttermilk, eggs, vanilla, melted butter and oil. Whisk egg mixture into flour mixture. Heat 1 tablespoon butter in a large nonstick skillet over medium heat. Working in batches and adding more butter as needed, pour in 1/3 cup batter per pancake. Place 2 to 3 nectarine slices on top of each pancake. Cook until small bubbles form on surfaces and undersides are golden, about 3 minutes. Flip and cook until golden brown, about 3 minutes. Serve with butter and syrup. Preheat oven to 400 degrees. Coat a 6-cup muffin tin or a 12-cup tin for regular-sized muffins with cooking spray. In a large bowl, combine flour, baking powder, salt, sugar and cocoa. Add eggs, milk and butter. Mix well with a spoon. Add chocolate chips and mix just until combined. Fill each muffin cup 3/4 full with batter. Bake 15 to 20 minutes or until a toothpick inserted in center comes out clean. 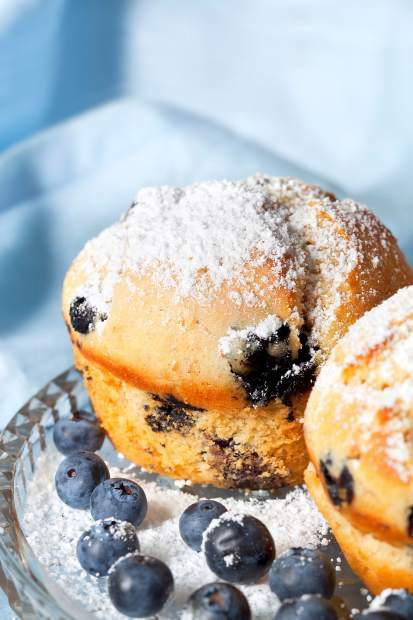 Remove muffins from pan and cool on a wire rack. Preheat oven to 375 degrees. On a pizza pan or a 9-by-13-inch pan, place the crescent rolls with points to the center of the pizza pan to form crust. Pinch seams together. Beat the eggs, add milk and mix well. Pour over the crust. Sprinkle the browned sausage, hashbrowns and cheese evenly over all. Bake 25-30 minutes.